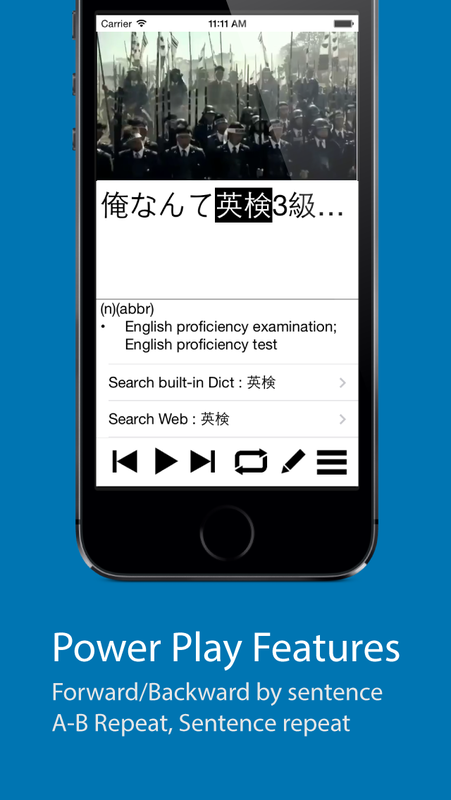 SABU is the best App to learn Japanese from subtitle. Watching Japanese Anime and Drama is the best way to do so. 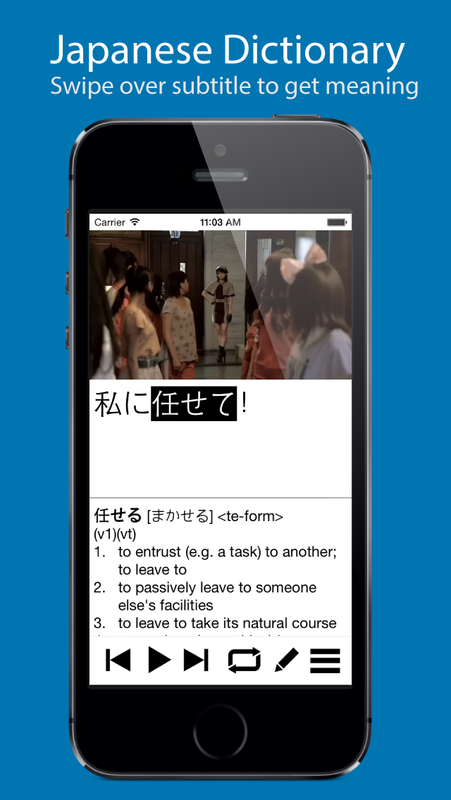 SABU is a 3-in-1 player dedicated for you to learn Japanese from Drama and Anime. It has a video player, a dual-subtitle player and also a Japanese dictionary. It can display two subtitles ( by two SRT/SSA files ) on the same screen. So, for each sentence in the Drama, you can check out and compare its meaning in Japanese and English ( or other language ) at the same time. If you find any words you don’t know, you can just swipe over the subtitle to get the meaning. The dictionary included is VERY intelligent. It can directly search conjugated forms, Kanji and Japanese person names & places. 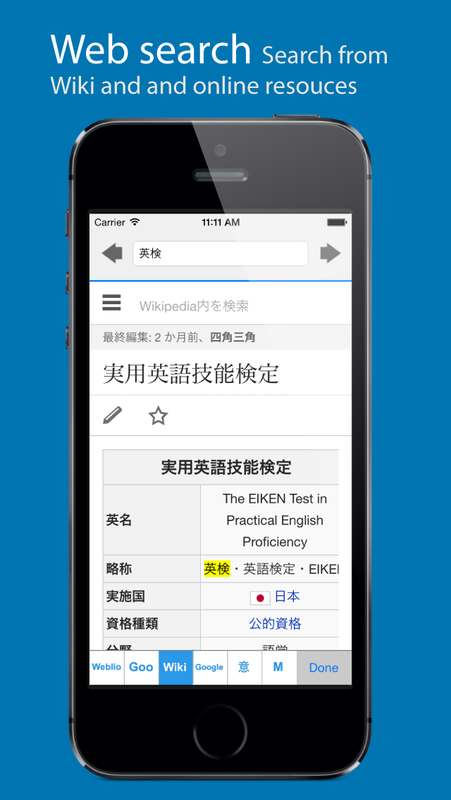 More than a dictionary, it can even recognise Japanese numbers, or search Wiki directly. With a click of button, you can hear the pronunciation of the word. Forward/Backward are all based on the timing of the sentences in the subtitle. You can repeat sentence by sentence until you can listen and speak as fluent as they do. The sentence is too long or too fast? Just make use of our A-B repeat mode, sentence-repeat mode or slow-play option. The subtitle is not in sync with the video? 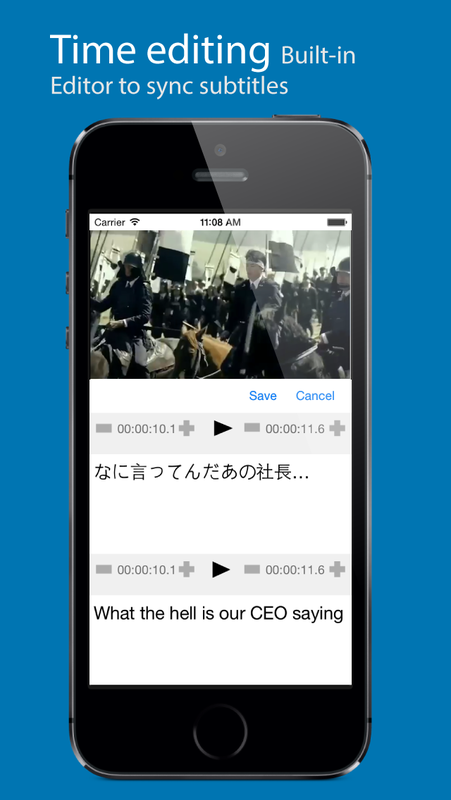 You can edit the timing of each individual sentence right inside the App. Note : We haven’t updated video for version 2.0 yet and there are huge enhancements from version 1.0. Please refer to feature list for details. If you have any enquiries or feedback, please feel free to contact us at the following email address.